physical, mental, emotional, and sensorial. 3. to promote longevity by improving the quality of life in mind, body, and spirit. Sushruta, one of the great scholars of Ayurveda, described health as a state of equilibrium of doshas (biological humor), agnis (transformative physiological system functions), dhatus (tissues and organs), and malas (metabolic byproducts), along with sensorial, mental, and spiritual well-being. Ayurveda goes to the heart of the problem, treating the cause in order to remove or prevent the disease. When dealing with an illness or imbalance, treating the symptoms and physical body alone will not cure the problem. Health is more than just the absence of disease. Ayurveda provides tools to find balance in our daily life and goes a step further in defining health as a balanced state of physical, mental, emotional, sensorial and environmental health – an interdependence of mind, body, and the spirit. 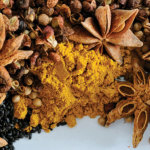 Ayurveda incorporates the use of food, herbs, and lifestyle techniques to resolve health related issues. This modality is based on ancient traditions that are being widely accepted in the Western World today due to the powerful impacts a balanced diet and lifestyle can have on our health and vitality. Ayurveda focuses on attuning people with their unique make up and with the natural rhythms of nature around them.